White tries nothing on the outside -> ko. Black trying the same, white plays different. Status? 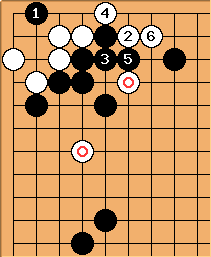 Tapir: I'm sure if white tries too hard here, he will lose by crawling on the second line, even if he escapes at last, but not knowing the status of a group is disturbing me. 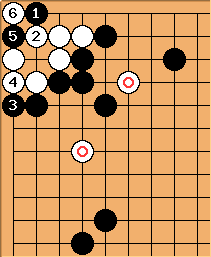 As white I would try to play the ko and using all these moves here as local ko threats.